WebIS today is pleased to introduce Pocket Informant Online for iOS and OS X, a new service for users of their Pocket Informant Productivity app for iPad/iPhone and Android. 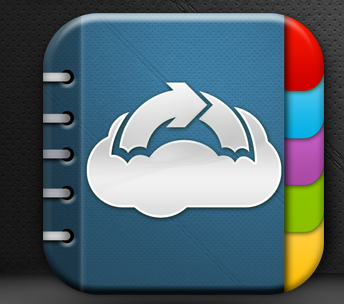 Offering unrivaled integration of Calendar, Tasks, Contacts, and Notes functions in a single package, the app won Best of Show 2011 at MacWorld. In addition to cloud-based sync of their own app’s Calendar and Task data between mobile devices, Pocket Informant Online will also sync the built-in iOS Calendar and Contacts functions. The new online product includes a web-based interface for direct access from any browser, so that users may access, edit, and sync data from any computer with an Internet connection. In development for the past year, Online offers the peace of mind of having all PI data synced in the same location. Pocket Informant Online will be in public beta beginning February 16, and there is a link to sign up for the beta via the Pocket Informant Online link below. 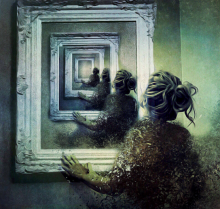 Create a stunning hybrid between photo and video. 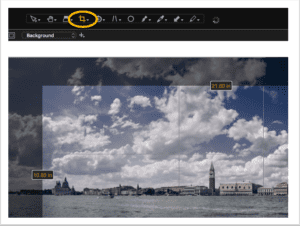 Animate small portions of your photo to create a magical image that’s part-photo and part-video. 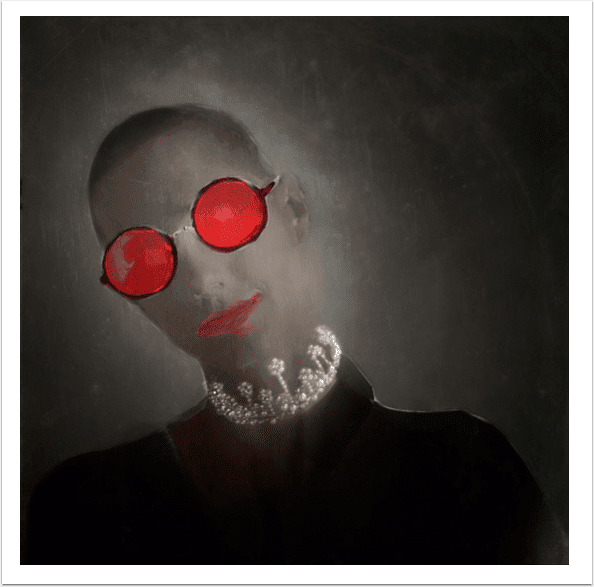 Apply vintage / cross processing filters, and share your masterful creation. Announcing that Eightythree Technology, the developer of Safety Photo, has just released the latest update for iPhone, iPod touch and iPad users. Safety Photo Video 2.0.2 has received a makeover and a new, lower price. The app still lets users passcode protect their private photos, but new features for this update include geotagging and EXIF data viewing, support for video files, the ability to lock individual albums, and a brand new price point of just $0.99 (USD). Colibri Games, independent video game developer, notice that our first and awesome game The Tiny Bang Story HD now available for iPad, a fantastic puzzle adventure set in a beautiful hand-drawn world. 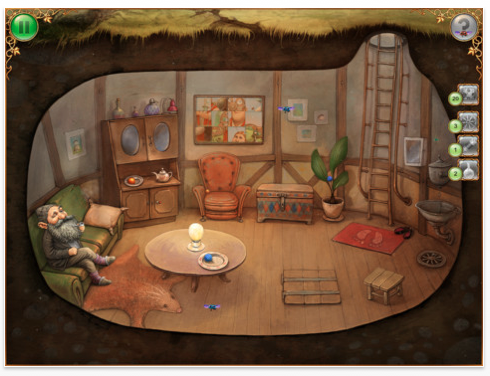 The Tiny Bang Story, developed by Colibri Games, is set on the fictitious world of the Tiny Planet. When an asteroid hit the planet, its fragile world broke into pieces. Players will now have to recover its lost beauty and help the population of the Tiny Planet. Along their way through five chapters, they will solve numerous puzzles and fix imaginative machines in a classic point & click environment. * There is no text in this game. It is fun for all ages and suitable for the whole family! It’s time to Cheer: the world’s first positivity app goes live today! 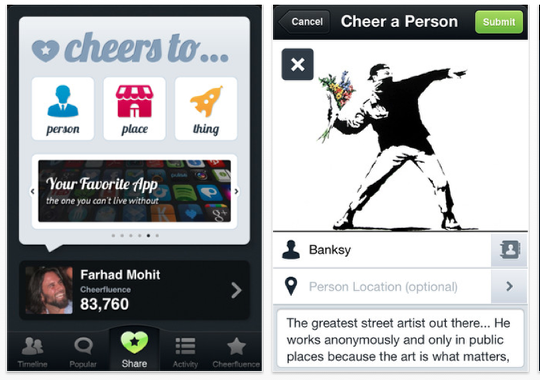 Farhad Mohit, Founder of BizRate.com and Shopzilla, launches Cheers, the first iPhone app built solely to help people express love and appreciation – for anyone, anything, anywhere! Mohit, who sold Shopzilla in 2005 for $569m, brought together an all-star team from Google and StumbleUpon, as Cheerful, inc., in order to create socially powerful apps like Cheers. Cheers aims to be the ‘like button’ for the world around you, but more meaningful, because you create, control and give voice to each cheer. There are over 500,000 iPhone apps. Until now, none of them have focused on celebrating love and appreciation in all its facets – people as well as places and things. Cheers is available for free download now. And what perfect timing! Valentines Day is around the corner, buzz around Social Media Week is building, and yet research just released by Gallup shows Americans have a deficit in positive thinking! 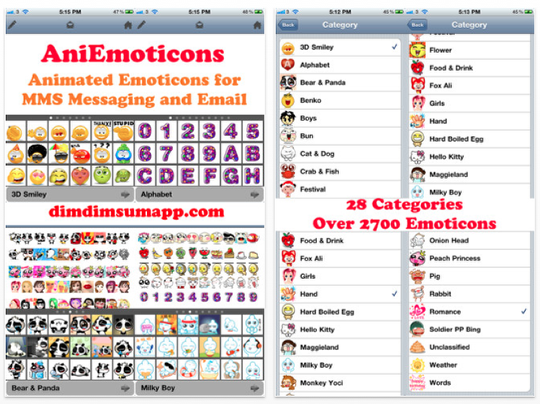 Dim Dim Sum App, an emerging mobile application developer focused on entertainment and lifestyle solutions for iOS, is excited today to announce the launch of AniEmoticons 2.0 for the iPhone, iPad, and iPod touch. Available in both Full and Lite versions, AniEmoticons is the most versatile, intuitive, and in-depth animated email and SMS emoticon solution currently on iTunes, featuring thousands of wacky, unique, exclusive moving emoticons across many diverse categories and characters. AniEmoticons’ professionally designed faces and characters let users relay their moods or spice up jokes creatively and effectively. To boot, the app features an ergonomic design which makes browsing, choosing, and adding in emoticons a breeze, and can be used within iPod touch iMessages accounts as well. Updated to resolve a few minor bugs and improve the overall user experience, AniEmoticons 2.0 is currently available for download for $1.99 in the Social Networking category. A Lite version of the app featuring a more limited emoticon library is available as well. Built to be as simple and quick to use as possible, AniEmoticons lets users fore-go the time wasting hassle of painstakingly having to copy emoticons from their home application, close it out, and paste them into their emails and text messages. Instead, the app automatically places its full list of emoticons in the user’s email and SMS editing menus, ensuring that any silly face can be selected and shared all from one centralized location. Furthermore, while SMS and iMessages limit users to utilizing a single emoticon, emails can be peppered with an unlimited number of AniEmoticon faces and characters! 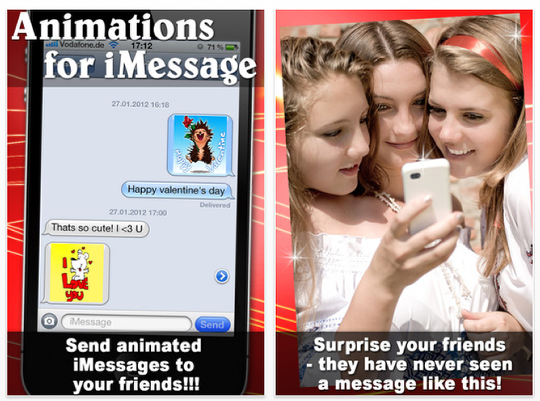 Ayogo GmbH, an independent development studio for mobile and web based games and apps releases Animated Messages for iMessage – Valentine’s Edition, a new way to send Messages from iPhone and iPod touch. With the release of iOS 5 in October 2011 Apple released iMessage – a free messaging platform for iOS 5 users. Ayogo’s latest release delivers some great content for this platform- animated images to be used in iMessage. The animation can be seen directly in the iMessage dialogue window and adds a cute and fun way to communicate for users of iPhone and iPod touch. The first edition of Animated Messages for iMessage is a Valentine’s special, featuring lots of great love related animations. More than 50 animations are included in the app and there’s more to come. This new way to use iMessage will be perfect to surprise loved ones on the upcoming Valentine’s Day. Users who don’t have iMessage or who want to send the animation to someone without it (for example owners of Android, Symbian or Windows Mobile Phones) can still send the animations via MMS. This will result in additional fees depending on the user’s individual mobile contract. PocketBracket 2012 allows users to create unlimited NCAA Men’s Basketball Tournament brackets, organize pools, and follow tournament games on your mobile device during March Madness. Brackets are automatically scored and ranked. Users can create and join pools to compete among friends, family, and co-workers. Follow the tournament games and scores with up-to-the minute scoring. PocketBracket is the only March Madness application to offer all of these features in one application and across multiple platforms. 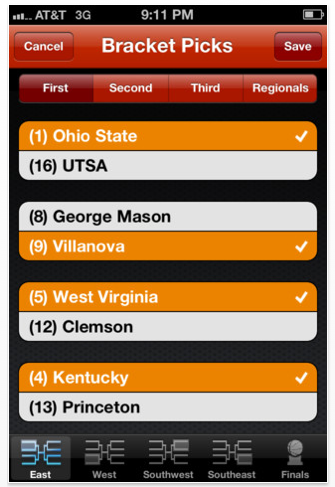 PocketBracket 2012 is available on iOS, Android, and Windows Phone devices. This year’s version includes several new features such as a real-time tournament bracket and GameTalk. PocketBracket prides itself on including additional features in response to user feedback. PocketBracket plans to release an upgrade including support for iPad and a free HTML5 web app that allows users to create a tournament bracket in the coming weeks. Word Race, an addictive face-to-face party game for friends and families, is now available for the iPhone, iPad, and iPod touch. 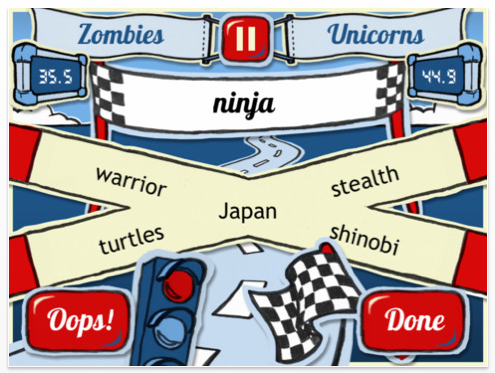 In Word Race, players test their creativity by describing a word to their team without using any of the forbidden words. "Ha, you said ‘city,’ when the word was Tokyo!" you gleefully call out forcing your opponent to take a penalty and start over with a new word. "I’ve never laughed so much with friends playing in the train or with my family around Thanksgiving," explains Chuck Smith, head developer "we played until the iPad battery died and they wanted more!" 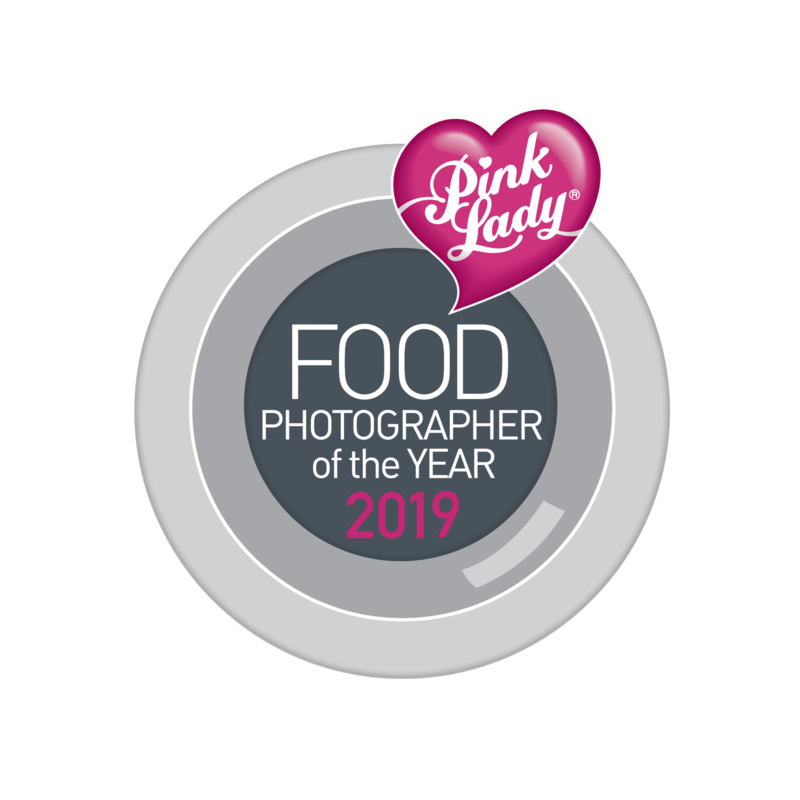 Tanja Borzel, the graphic designer, also commented, "It seemed like an interesting project, and I was surprised that it was so much more fun than I ever anticipated!" You can try Word Race for free on the App Store. Once you’re sure you like it, you can buy the general word pack for $4 ($3 for a limited time as an opening sale), and $2 for theme packs (geography and movies with more to come soon). 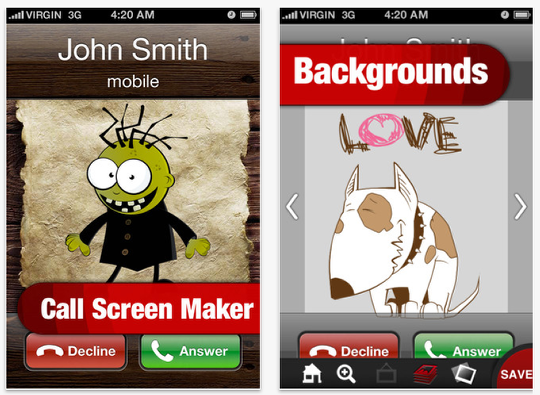 AppAnnex LLC is pleased to announce the release of Call Screen Maker 1.2 for iOS, with which you have a unique chance to add holiday clip art, photo frames, backgrounds and face effects. St. Valentine’s day is coming! Everyone now wants to see more hearts and roses, don’t you? And even more it’s pleasant, when your sweetheart is calling you. Finally, now you can make your call screen even better. With our Call Screen Maker special edition for St. Valentine’s Day you can now use more holiday clip arts and photo frames. Just add some colors and beauty to your iPhone. Be creative! Holiday collection of vivid backgrounds, various frames, hilarious face effects and cute clipart images will help you to customize the call screen of each and every single person from your Contacts. Cute bear or sweet cake, and numerous of hearts. Choose what ever you want! 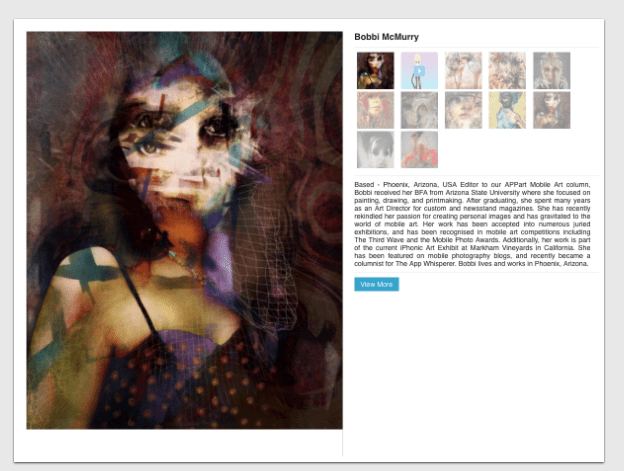 With built-in preview feature you can easily try the image you’ve just created. See the way it looks in native Contacts app or when someone is calling you. Call Screen Maker will help you to customize all your contacts in no time. All you need just add some love to your call screen. 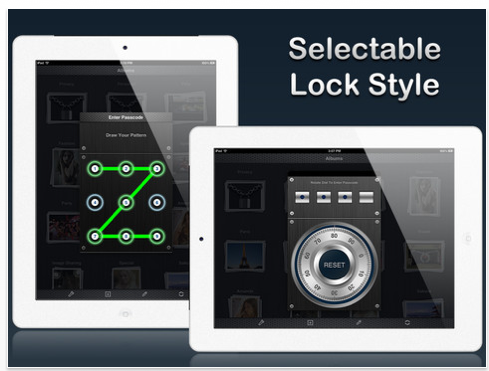 Partixel is pleased to introduce MasterKey for all iOS devices. It’s the 1st password generator, which is just done right! There are hundreds of password generators in the app store. But not one is professional enough for every day use. MasterKey fills this gap now. It’s simply works, is easy to use and looks great in every little pixel. Over and over again we face the same challenge. You need a new and particularly secure password in no time! MasterKey is the perfect app to solve this problem. With each push on the button a new password will be created for you. 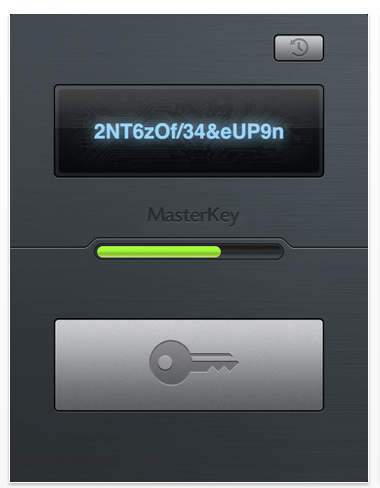 By pressing the password you have it automatically stored in the clipboard and in the history. It’s easy as pie! For additional settings, just tap at the password strength button and it will open big range of options to configure the generator exactly to your needs. 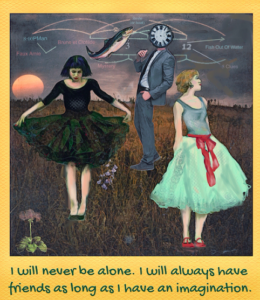 Independent designer Colin Ritchie of Periscope Audio Lab is pleased to announce the immediate availability of his app SpaceSampler – An audio convolution app that lets you record, apply filters from real acoustic spaces and equipment and then share with anyone. High quality audio convolution reverbs are used everyday in professional recording studios to give depth, color, clarity and uniqueness to audio. This technology now comes to iOS as SpaceSampler. For musicians and non-musicians alike, SpaceSampler can be used with nothing more than an iPhone. Simply record audio via the built in microphone, use the resume-recording feature to stop and add more audio to the end of this recording, audition the impressive selection of 15 meticulously crafted Impulse Response Filters, set the mix via the big red knob and then save the audio. 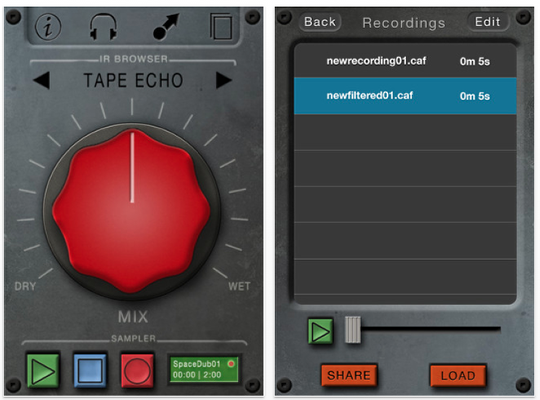 Saved audio can then be shared via e-mail, Dropbox, Soundcloud, copied to other compatible music apps or even loaded back into the sampler. "I’m happy musicians and non-musicans can now take this fun studio tool wherever their travels may lead them" said developer Colin Ritchie. Phonitive LLC has released Starring Cards – Love Edition, the unique iOS app which lets you to add photos in animated Valentine’s cards. What you have to do is just to select the video you like, put your photos and text inside and send your Valentine’s video to your special one. This app is one of the most original ways to say I love you and Happy Valentine’s Day. You can choose romantic or funny videos included in the app and customize them with your texts and pictures. 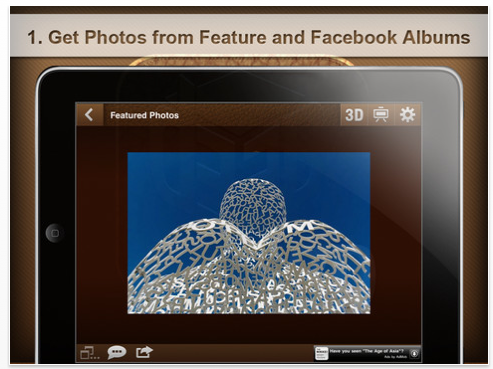 Joy Aether today introduces D33P 3D Social Albums 1.0 for iPad, their new, free Photography app that allows users to convert any photo into a 3D image on their iPad screen. Featuring advanced Stereoscopic 3D image analysis, the app synthesizes both left and right eye views, which can be viewed with red/cyan glasses or without glasses as an animated wigglegram. 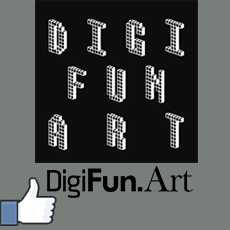 With integrated Internet connectivity, the app lets users select from any of their Facebook or Photo Library photos for 3D conversion. D33P (pronounced "deep") 3D Social Albums automatically performs single or batch conversions and can create custom slideshows of normal or 3D photos. Stereoscopic or 3D images rely on the way the human brain interprets the offset between the views of the left and right eye. 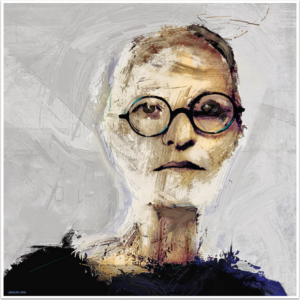 True 3D requires two lenses simultaneously capturing two nearly identical images to produce a 3D photo. Employing advanced Stereoscopic 3D image analysis from S Square System, Ltd., D33P 3D Social Albums actually synthesizes what a dual lens camera would have recorded. The conversion process exploits the latest advances in optics and image processing and uses the full computational power of the iPad. * Employs advanced Stereoscopic 3D image analysis from S Square System, Ltd. 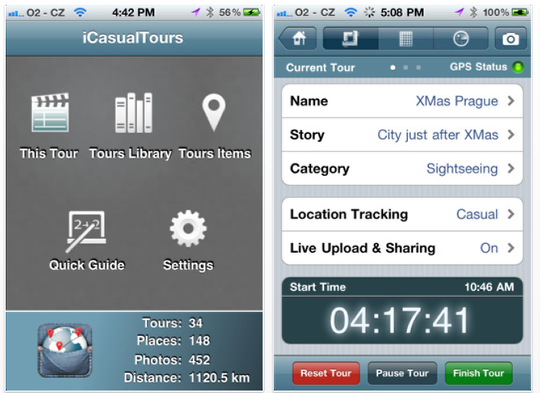 Independent software development professional Arseniy Kuznetsov today is pleased to announce the release and immediate availability of iCasualTours 1.0.1, his new personal travel app for iPhone and iPod touch devices. iCasualTours helps capture, organize, and share your personal travel experience. A casual walk or a two-weeks vacation, the app will help you remember it as it happened and share it with your friends. iCasualTours records your travel routes and lets you take geo-tagged pictures as well as check-in and monitor nearby places of your interest, with instant display on your Tour Map. iCasualTours offers advanced location tracking technology, with multiple tracking modes to allow continuos use of the app without noticeable impact on your device’s battery. iCasualTours enables uploading your Tours directly to your Google Account. The Tour Items such as routes, photos, checked-in places, milestones, motion statistics, notes, and links can be easily exported to Google services such as Google Picasa, Google Fusion Tables / Google Docs, and Google Maps – giving you the ownership and full control over your travel data. 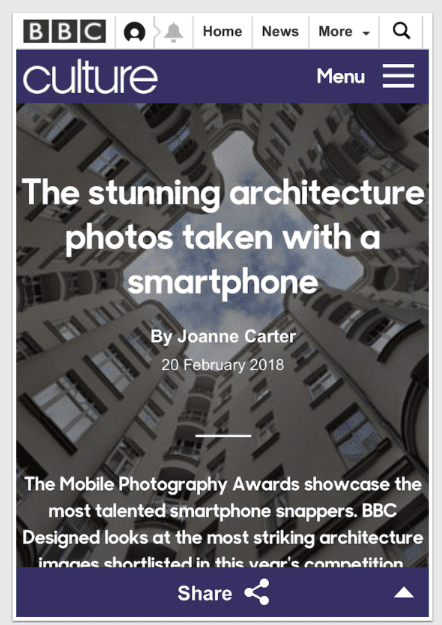 The app makes it easy to share Tours, offering multiple upload and sharing modes including event-based, incremental Live Sharing that can happen e.g. whenever you take a geo-tagged photo, check-in a nearby place, or reach a new tour milestone. Full Email, Facebook, and Twitter integration is available. 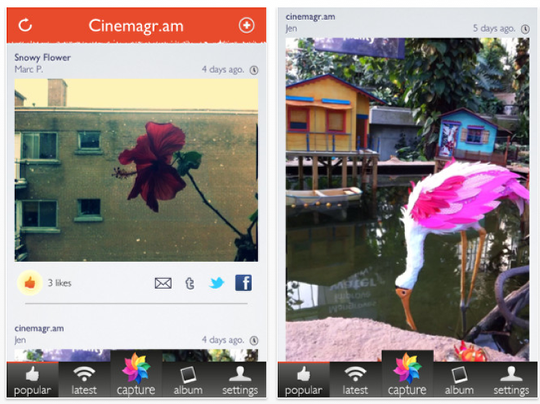 Instagram Coming Soon To Android – Screenshot Leaked?